In a somewhat bewildering turn of events, I’ve signed an actual contract. 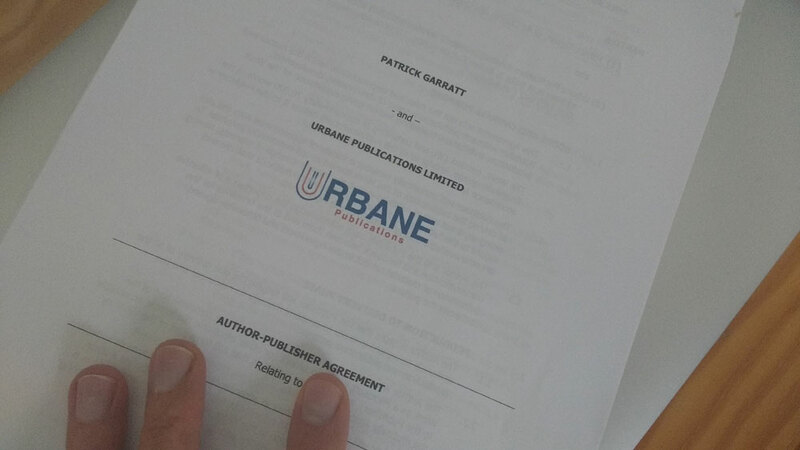 My first novel is to be released by amazing indie publisher Urbane. Title, release date, cover, and details of a very special art collaboration of which I’m completely thrilled will all be announced later, but just writing these words is forming a reality I can barely believe exists. I will have my novel. On paper. In my hands. In your hands, hopefully. I can’t tell you have pleased I am to have found a publisher willing to take a risk on my book. It’s a difficult project, but the conversations I’ve had in the run-up to this announcement have shown a perfect understanding of what I was trying to achieve. As the trillions of “perseverance” sound-bites have it, it only took one person to say yes. I don’t really have anything else to say. Braindead happy. I had a story long-listed for the 2015 Short Fiction Award last month. The short list has, unfortunately, erased proof of my heroism as I didn’t make it to the final six, but I’m so happy to have been chosen from the initial round of more than 650 entries. Baby steps. Frankly, getting any kind of result from this year’s output is fine. I feel safe in chalking it up as a win. Motivation isn’t a problem for me at the moment. Getting stuff done feels light. The need to strengthen some basic skills has been nagging for a while, so I’ve committed to some long-term college training, and I’m working on another short story, potentially the last of the year, to sub to various lit mags later this month. I’ve started preliminary work on my next novel (the reason for holding back on too much more short fiction in 2015), and I may finally have a lead on a professional mentor. Nothing’s certain yet, but I’m crossing everything. This could be amazing for me. I’m also involved in another writing project I can’t talk about right now, but, from a personal perspective at least, it has the potential to be hugely exciting. More on that soon. Everything’s up! It’s brilliant how even the slightest element of acceptance can buoy a writer, and equally unbrilliant how endless rejection can flatten one. The solution’s simple: write more. Write more write more write more. The more you write, the better your chances of success. Have to run. Writing. It’s normal for writers to succumb to the style of the books they read. Logically, most (all?) 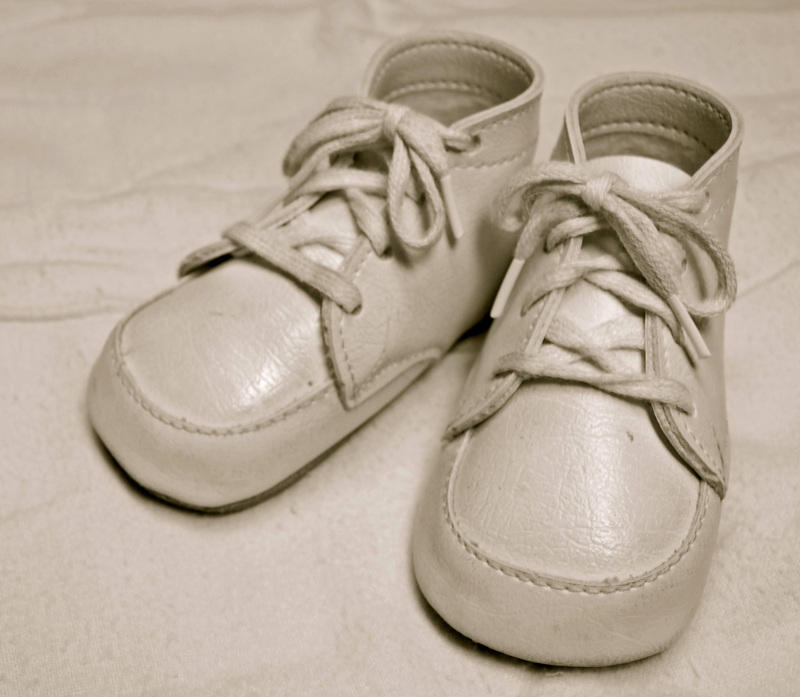 readers and writers will have “road to Damascus” moments as they work the way through the early part of their reading careers, whereby certain books will become life-changing events. The novels I read in my early twenties were especially influential to my formative writing, almost to the point of claustrophobia. Certain authors trapped me, jailed me. So authoritative were they in relation to my lack of experience and education, and so enamoured was I with their work, that avoiding them in my own writing was impossible. They were in control. I had no choice. The drawling vocabulary and laconicness of Queer, Junkie and other early Burroughs novels, for instance, left such an impression on me that my fiction would be forever marked, not specifically by content, but by the emotional impact and thrill of passages about a gay heroin addict spending his days staring at the tip of his shoe, or by the baffling construction of Interzone. I couldn’t believe these books even existed. The excitement of discovering Jack Kerouac left me similarly breathless, as it did with Brett Easton Ellis, Irvine Welsh, Tom Wolfe, Patrick McCabe, Cormac McCarthy and the predictable rest. These authors, with their violence, ambiguous sexuality and relentless maleness, kept me locked in a cell for years. Being a twenty-something man trying to write in the face of something like Naked Lunch is a humbling experience. Me-tooism is hardly restricted to writing, of course, but the form of a young writer’s first books and stories will likely be moulded by the media they consume. It’s hardly surprising that so many novice authors attempt to write “the next Harry Potter,” or have aspirations to “be” another Stephen King. But not me. I don’t feel trapped anymore. Over the last three years I’ve written a large body of fiction (relative to my own previous output, of course), and the amount I read continues to balloon. I now submit copy very regularly, whether it be short stories or novels, and I probably read more widely than ever before in terms of genre (or lack of it). I’m reading J. M. Coetzee’s Disgrace at the moment, and while I’m enjoying it more than most books I’ve read in the last year (it’s as amazing as it’s supposed to be: read it if you haven’t), I have no desire at all, subconsciously or otherwise, to attempt to follow its path. There are no feelings of awe or jealousy or fear as I read, as there were with American Psycho and On the Road twenty years ago, and any negativity has been replaced with a glow of pleasure, of having the wherewithal to be able to consume, and ruminate on, a genuine work of art. Stepping into the dungeon of another writer’s experience now comes without the dread of the slamming door. The exit is open. I love the book, but it isn’t me, and that’s partly the reason I’m able to enjoy it so much. I’m free, in a way. The quality of the literature I’m consuming hasn’t changed, even if the quantity has; I feel differently towards the book, not the opposite. Years of focus on expanding my knowledge of books and writing has put me in a different place to the young man, freezing in a bedsit, being blown away by the Beats. I have no problem admitting I have influences, but the novel I’m now editing and the stories I’ve been submitting this year feel different. This is my work, not something created in a damp corner of solitary confinement under the gaze of twentieth century jailers. I didn’t even realise the prison’s gates had locked behind me. And now there’s sun on my face. It’s an unexpected turn, but it feels like progress. Good news (for me, at least). 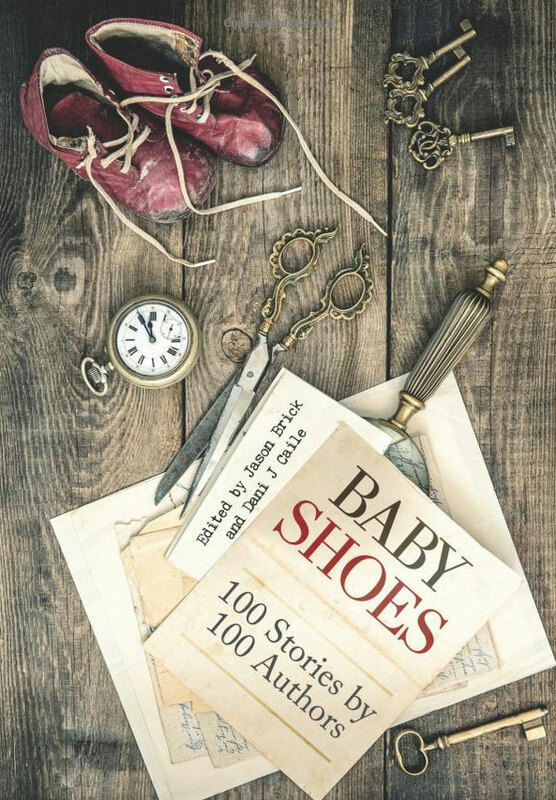 The Baby Shoes flash fiction anthology has achieved its crowd-funding goal, meaning my next short story, titled CALL THEM, is confirmed for release. Four days remain on the Kickstarter, so you can still secure a discount copy at $5. It’ll cost $10 if you wait for launch. CALL THEM is painful for me to read, as it focuses on financial instability and resultant family pressure. While compact, it does raise some of themes running through my current novel work, which is becoming less opaque in its blurring of fiction, memoir and potential near-future extrapolations. If you want to get an idea of what to expect from my longer pieces when (if) they appear, this would give a decent hint. CALL THEM will be my second published piece of fiction. My third, a horror-action story based on the Achtung! Cthulhu universe, will be made available in the coming months.